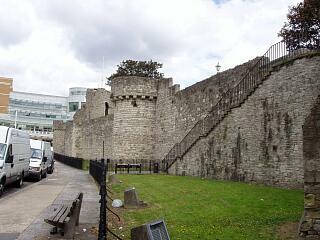 Forty Steps, also known as Albion Steps, was built in 1853 to provide a pedestrian route from the western wall down to the road and promenade on the foreshore. : Extract from the Listed Building Description. 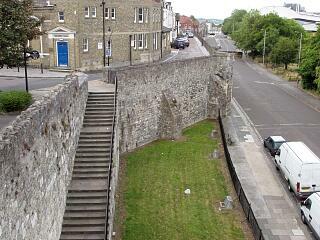 TOWN WALLS - Section of wall running west from Bargate to Arundel Tower and then south to point just south of Castle Water Gate. 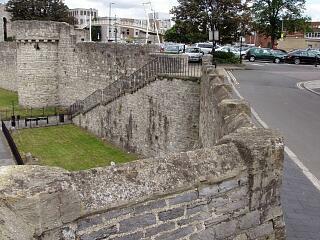 It includes Arundel Tower, Catchcold Tower, Garderobe Tower, The 40 Steps, Castle Water Gate and Castle Vault (formerly listed as Section of Town Wall running from the point of junction with the Castle Wall just north of Simnel Street to its eastern termination just west of Bargate). Grade I. 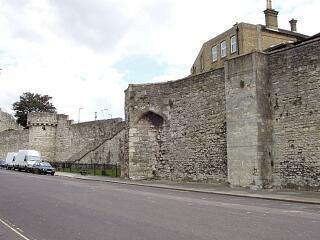 - Mediaeval City Walls. 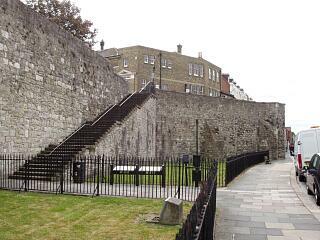 ….. South of Catchcold Tower are the 40 Steps, a series of stone steps built on to the wall in 1850. …. 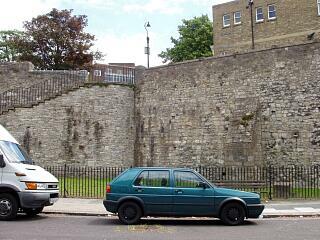 Scheduled as an ancient monument. 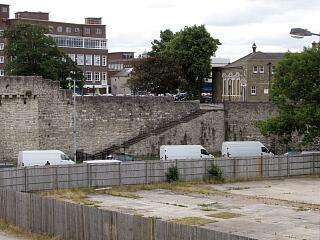 --- SSH3068 - Unpublished document: Ancient Monument File AM17 - North-west town walls. 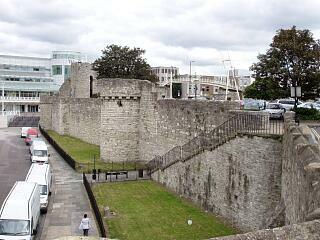 --- SSH3124 - Unpublished document: Ancient Monument File AM7 - Catchcold Tower. 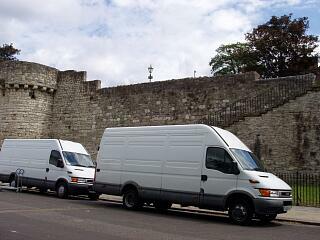 SSH2888 - Digital archive: English Heritage. 2005. 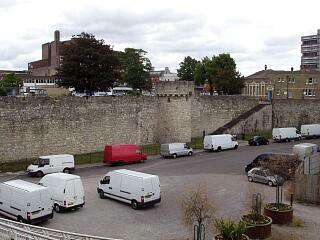 Listed Buildings System dataset for Southampton.